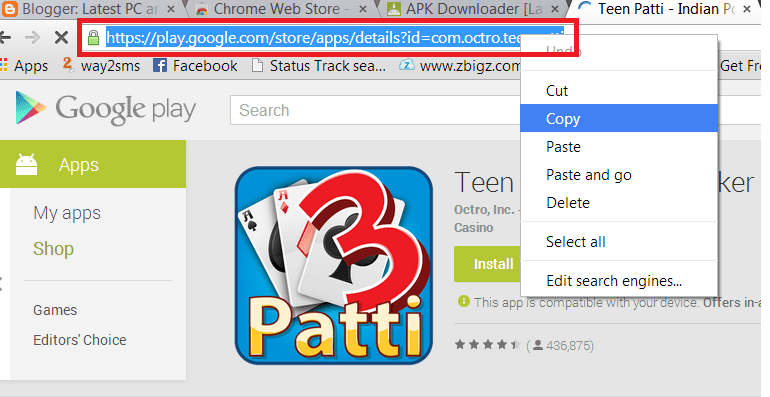 Step 1 : Open the Google play store and search for your favorite app which you want to download in your laptop or computer. Step 2 : Then copy the address in the address bar. Step 3 : Now CLICK here and and below link will be opened . Just paste the address in the red marked area and click on GENERATE DOWNLOAD LINK button. Now you will see apk file will be downloaded in your laptop/computer.